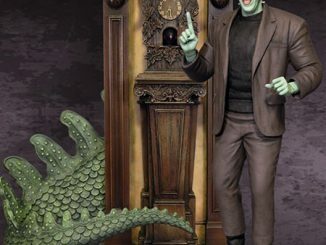 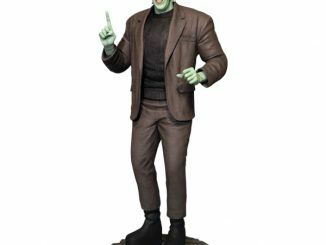 The most hideous member of The Munsters joins the collectible clan with the Marilyn Munster Maquette. 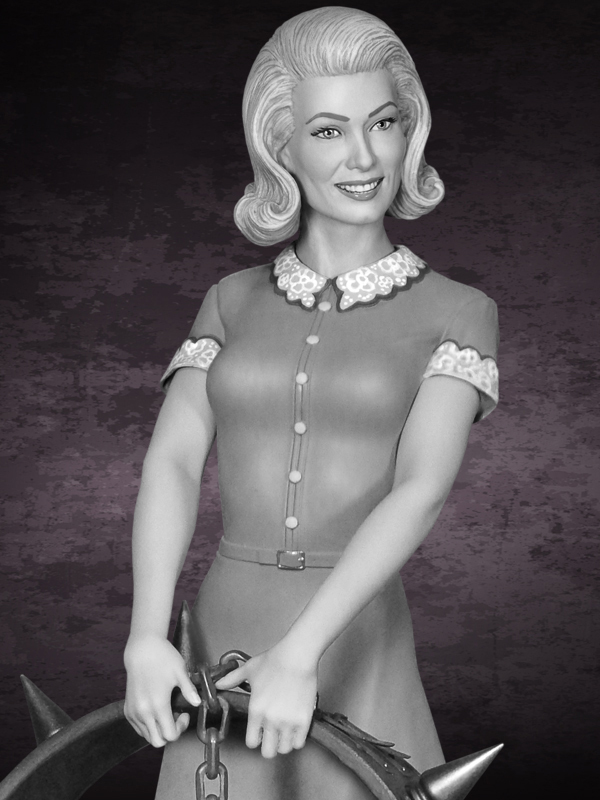 Try not to shrink back in fear. 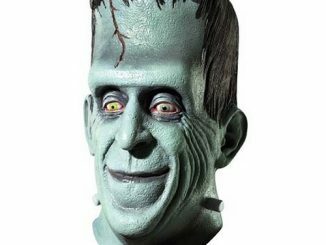 Not everyone can be blessed with the handsome visage of Uncle Herman. 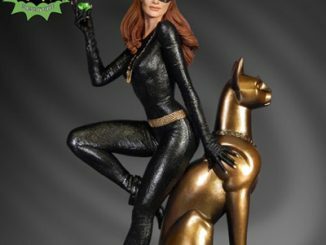 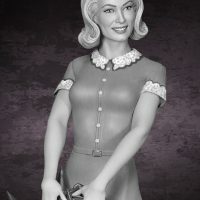 Standing approximately 12-inches tall, Marilyn holds Spot’s collar while standing by the bust she sculpted in The Munsters episode “Prehistoric Munster”. 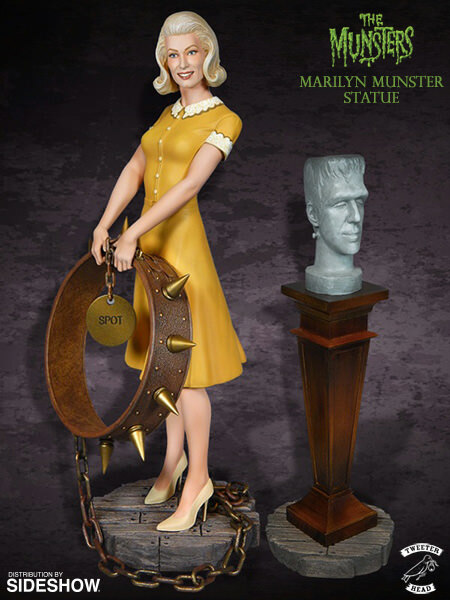 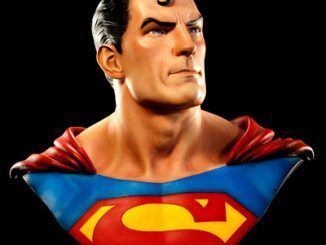 Marilyn and the bust are on different bases so they can be displayed together or separately. 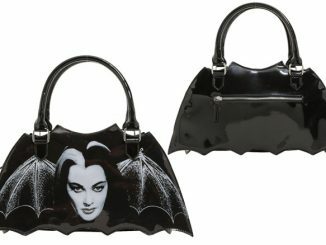 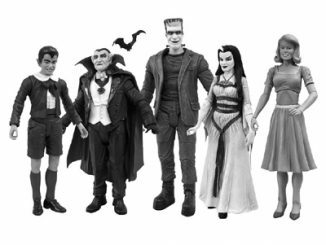 The Special Edition Black & White version of Marilyn Munster is limited to just 113 pieces. 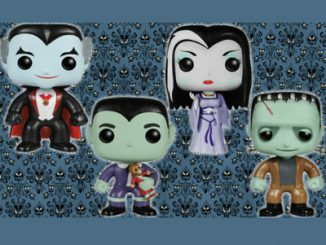 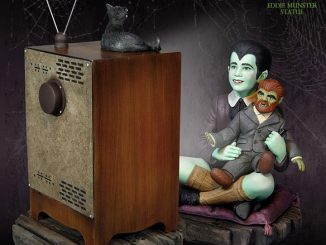 Other maquettes in The Munsters series include Herman, Lily, and Eddie. 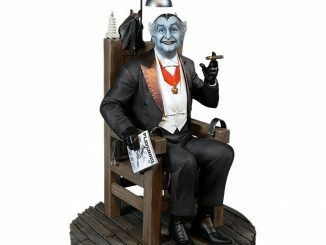 The Special Edition Black & White Marilyn Munster Maquette will be available 1st QTR 2016 but it can be pre-ordered now for $224.99 at Tweeterhead. 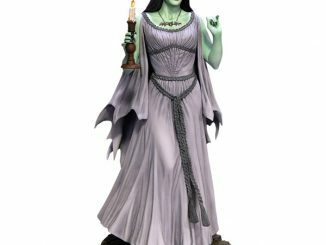 The regular color version of the Marilyn Munster Maquette will be available Feb 2016 – Mar 2016 but can be pre-ordered now for $224.99 at Sideshow Collectibles.